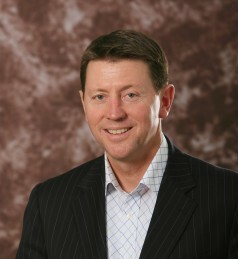 Bruce Cotterill is a career CEO and Company Director who has excelled in a number of dynamic sectors and in a range of extremely demanding change oriented roles. He is a ‘transformation leader’ with extensive experience across a range of industries – notably media, property and retail – and a variety of ownership models, including public company and private equity. He launched his own computer company at the age of 22, to leading one of New Zealand’s biggest ever debt restructure programmes as CEO of Yellow Pages Group. As a CEO he has lead turnarounds at real estate group Colliers, Kerry Packer’s ACP Magazines, and iconic New Zealand sportswear company Canterbury International. Originally a Board Director at Yellow Pages Group, in 2008 he was asked by shareholders to step in as CEO for the purposes of leading that Company through a period of dramatic change, whilst also leading a the restructure of the Company’s $1.8 billion of debt. As a speaker and consultant, Bruce is a highly regarded business communicator and assists organisations to maximise their profitability through what he calls The 7 Principles of Profit. He is one of New Zealand’s leading conference keynote speakers, a wonderful storyteller who adds humour and inspiration to his presentations.